We love our events, we love our swag, we love all the “stuff.” But after it’s all said and done, we want to make sure that Content Marketing World is leaving as small a footprint as we can on the city of Cleveland. Here’s what we’re doing this year to make a difference, and we’re really excited about it. What do you like? What do you notice? What could we do an even better job with? Program Guides– we’re cutting down on the number of pages, housing much of the content in the app, and printing the book on 100% recycled paper. We’re also using a local printer to save on fuel costs to ship them! Name Badges– In previous years, we’ve had plastic sleeves that hold the badges. This year, we’re printing the badges on a heavier stock, so they won’t need plastic sleeves. However, if you do love having that sleeve to hold business cards, drink tickets and such, pack one of your old ones from a previous year’s event! Water Stations– Plastic disposable water bottles be gone! We’ll have water stations/bubblers set up all over the convention center for our attendees to fill up a cup, or to refill your favorite water bottle you bring from home (or can snag from one of our amazing sponsors)! Signage– Much of our signage from our 2017 event we’re able to repurpose, and those that we need to reprint we’re doing without a year on our logo (so we can reuse in subsequent years), and we are also using a recyclable cardboard substrate vs. foam core. Donations of Signage – Anything that we can send to local schools and universities for further content marketing education we can! A grade school in Lakewood, Ohio, Ohio University and Kent State University have all been recipients of graphic recordings, track posters, and many other materials. We need to spread the love and the smarts of our speakers to future content marketers. Locally-Sourced Meals – All catered food is being locally grown and sourced. And we hope you can taste the difference and the freshness! Leftover Food Donations – As part of the Levy Cares initiative through Levy Restaurants, any leftover food from the convention center will be donated to the Ed Keating Center, a Cleveland-based, non-profit with three sober living facilities serving approximately 150 men and women at a time. Electronic Evaluations – Rather than fill out that half sheet of paper after each session, we’re asking folks to visit the app for evaluations. They’re faster, and that saves 100+ sheets of paper per over 200 sessions. What a difference that will make! For a complete list of all we’re doing at the Content Marketing Institute and UBM from a sustainability standpoint, we welcome you to check out our sustainability page on our website. We hope that you appreciate these changes and that you’ll still have the same epic experience you’ve had and that you expect each time you’re with us. Thank you! Still not registered? We have time! 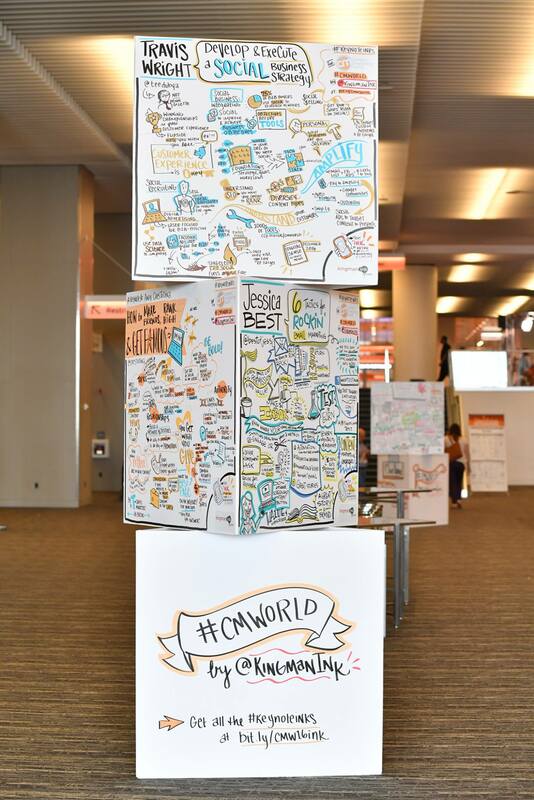 Visit the registration page and use code CMWBLOG to save $100!